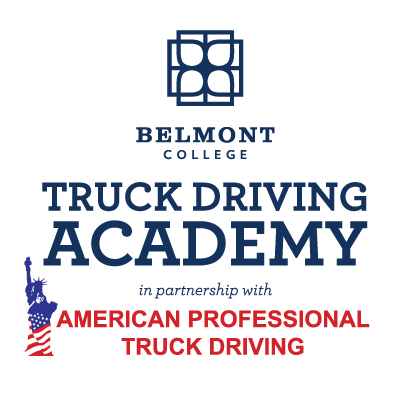 Belmont College’s Truck Driving Academy, in partnership with American Professional Truck Driving, offers a comprehensive program that exceeds maximum state requirements for obtaining a CDL (Commercial Driver’s License). Highly qualified, experienced instructors will provide the most comprehensive, affordable training in the state. Students will receive practice time behind the wheel from state-certified instructors, licensed with the Ohio Division of Public Safety, and with a minimum of three years experience. 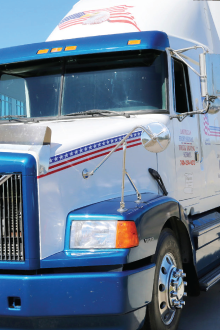 The five-week Truck Driving Academy program offers students a comprehensive curriculum to prepare them to pass the CDL exam. Training will consist of two weeks of classroom training followed by three weeks of behind-the-road pad training at American Professional’s Gnadenhutten, Ohio location. The Truck Driving Academy will provide 200 hours of theoretical and practical instruction, which includes 80-hours of classroom instruction, for the purpose of truck driving training. Over-the-road training will be conducted on roads and highways within a 100-mile radius of St. Clairsville, Ohio. For more information, or to register, call 740.699.3869 or 740.699.3868.